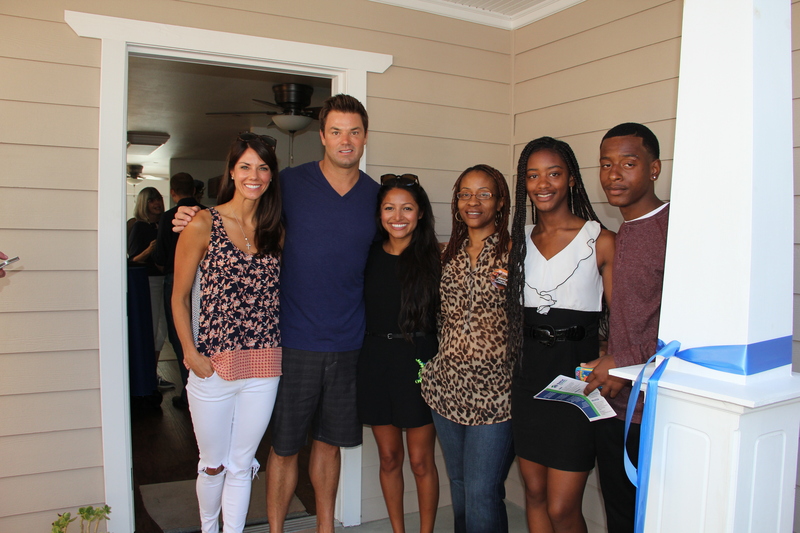 Giveback Homes was honored to celebrate Los Angeles resident LaTonya Thompson at the dedication of her brand new home on Friday, August 21st. 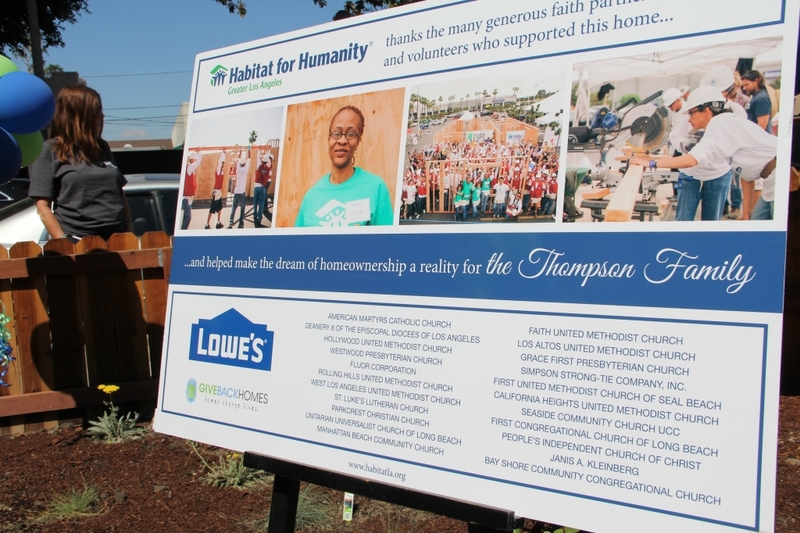 Giveback Homes members were able to help build LaTonya's home at a build day with Habitat For Humanity of Greater Los Angeles in June and now we're excited to see the final product. The moment where her dream became a reality was celebrated with a dedication ceremony. "It's been a long journey to become a homeowner, but I'm here now and enjoying every minute of it." LaTonya is a single mother to her son, Onekieo, age 16, and daughter, LaMeisha, age 15, and has worked for a major retailer for 13 years. Over the years, she has held a variety of positions within the company. Onekieo is a talented athlete who is involved in sports year-round. LaMeisha is a natural leader in school who takes every opportunity to hone her skills. 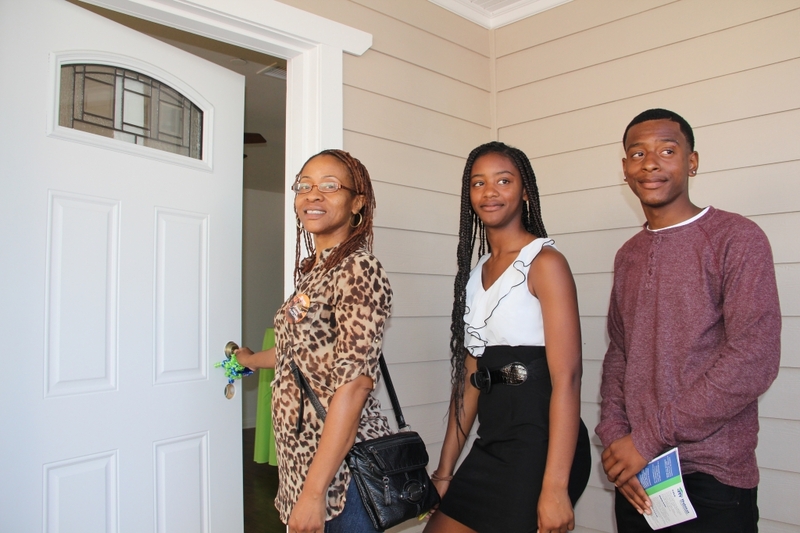 LaTonya has wanted to be a homeowner since the age of 22. "This home will be a place where my kids and I can feel safe regardless of what goes on in life," LaTonya added. Want to be a part of giving back? Join us to help make a difference. Already a member? Please consider donating today to help change lives for other deserving families.